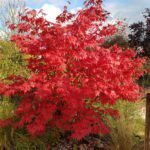 Hardy to USDA growing zones 5-8, Japanese maple trees (Acer palmatum) make beautiful additions to landscapes and in lawn plantings. With their unique and vibrant foliage, diversity, and ease of care, it is easy to see why growers gravitate towards these trees. Once established, Japanese maple plantings usually require little attention from homeowners, with the exception of a few common tree issues – tar spot on Japanese maples being one of these. 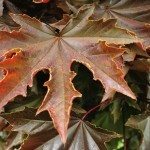 Known for their beautiful color changing foliage, growers may be understandably alarmed by the sudden change in appearance of the leaves of their maple trees. The sudden appearance of spots or other lesions may leave gardeners wondering what could possibly be wrong with their plants. Luckily, many foliar issues such as Japanese maple tar spots, can be easily identified and managed. Tar spot of maples is fairly common and, like many other foliar issues in trees, spots on Japanese maple leaves are most often caused by various types of fungus. Initial signs of tar spot manifest as small pin-sized yellow dots on the surface of the tree’s leaves. As the growing season progresses, these spots become larger and begin to darken. While the color and appearance of these spots is generally uniform, the size may vary slightly depending upon which fungi has caused the infection. 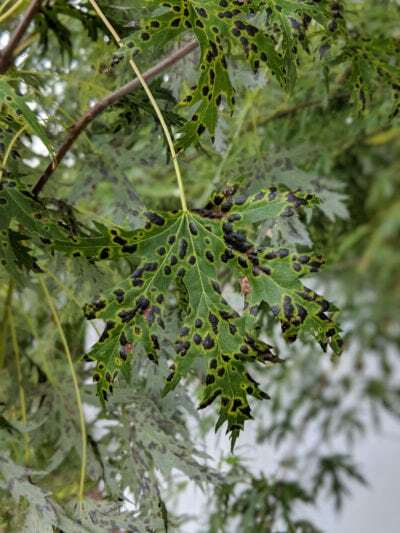 The presence of tar spots on Japanese maple trees is frustrating for growers due to their appearance, but the actual disease does not usually pose a significant threat to the trees. Beyond the cosmetic appearance, most incidences of leaf spot will not cause permanent damage to the tree. Due to this, treatment for a Japanese maple with tar spot is generally not required. A variety of factors contribute to the spread and recurrence of this fungal infection. Some factors, such as weather, may be beyond the gardener’s control. However, there are some ways in which growers can work to prevent infection over several years. Most notably, proper garden sanitation will help reduce the spread of tar spot. Overwintering in fallen leaves, the removal of leaf debris from the garden each fall will help to remove infected plant matter and encourage overall health of trees.